BARCELONA, – Mobile World Congress – February 24, 2019 – Cisco today announced details of its innovation blueprint with Rakuten Mobile Network, Inc. to build the world’s first end-to-end fully virtualized, cloud-native mobile network, ready for 5G. Rakuten Mobile Network (RMN), a wholly owned subsidiary of Rakuten, Inc., a global leader in internet services and soon to be operator of Japan’s newest mobile network, announced on February 12 it plans to launch commercial services via its new mobile network in October 2019 with an innovative cloud-native architecture that is fully virtualized from radio access to core, with end-to-end automation for both network operations and services. The foundation of the new Rakuten Mobile Network architecture and telco-cloud will extensively use Cisco software and services, and routing and switching hardware. Cisco delivered its best-of-breed portfolio spanning technology from its Cloud, Data Center and Service Provider businesses, as well as engineering, multi-vendor system integration, security and operations expertise from Cisco Customer Experience to deliver in record time what was considered close to impossible less than eight months ago. 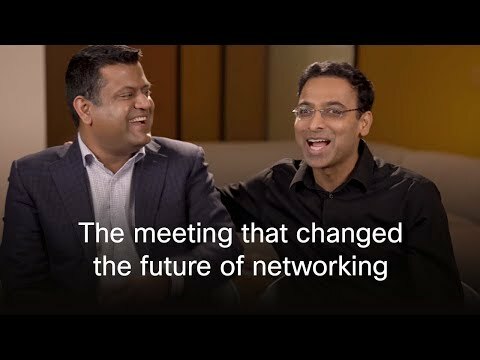 Cisco Customer Experience is the primary systems integrator for the 5G-ready cloud-native architecture design and the deployment of RMN’s virtualized telco-cloud. Cisco’s visionary networking model incorporating these technologies will enable RMN to deliver a broad suite of services including consumer mobile, IoT, rich media and low-latency services including augmented and virtual reality. Cisco Chairman and CEO Chuck Robbins and Rakuten Chairman, President and CEO Mickey Mikitani will showcase the two companies innovation in a shared keynote at Mobile World Congress in Barcelona on Wednesday, February 27 at 9:30 a.m., Keynote 7, Hall 4, Auditorium 1. Keynote will be livestreamed from #MWC19. About Rakuten Mobile Network Inc.